The adorable Palm Phone, which features a 3.3-inch display and can run any Android app, can now be your daily driver. The dinky smartphone, which previously had to be bought as a $350 add-on to an existing carrier plan, is now available as a standalone device for $199. The Palm Phone is still exclusive to Verizon in the US, but the move is quite the u-turn on the original 'companion phone' idea, which was supposed to be used in situations where you didn't want to take your bulky modern smartphone such as in the gym or going clubbing. It also required a second data plan. Essentially, it wasn't a great idea. Interestingly, those customers who bought a Palm Phone as a $350 companion device will not be able to convert it to a standalone Android smartphone. You'll need to trade it in for the new model. The standalone version is on sale for the month of April for $199. In May, we assume the price will go back to $350. 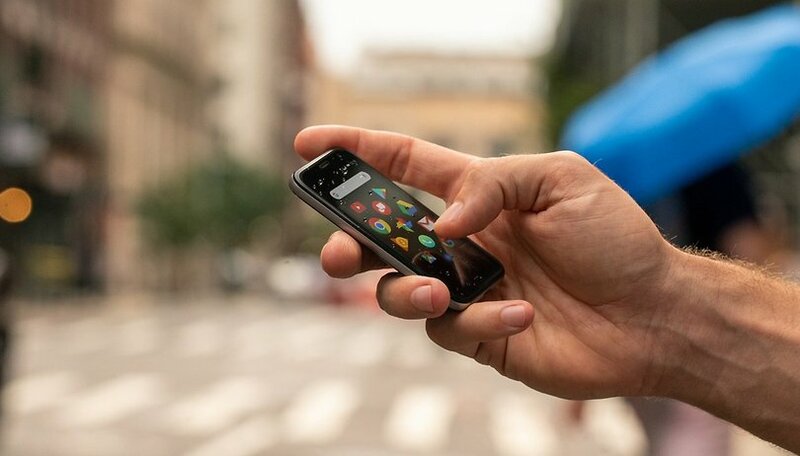 In a post announcing the change of direction, Palm said: "As a primary smartphone, Palm is a whole new way of connecting without being consumed. Palm was designed to help people live outside their screens and is the perfect device for active lifestyles (running, cycling, gym), or the minimalist who doesn’t want to be consumed and weighed down by their big phone. This hasn’t changed. It’s just now, you have the option to have Palm as your primary smartphone, coming with its own phone number and data plan." In addition to making Palm a standalone phone, some improvements have been made to the device itself - most notably with the cameras and software updates to extend the battery life. Palm says that the updated camera now includes improved HDR, color balance and low light performance. Palm's comeback: does the 'companion phone' make sense? The Palm runs on a modified Android 8.1 Oreo and features a Snapdragon 435 processor with 3GB of RAM and 32GB of internal storage. The rear camera is a 12MP and there's even an 8MP front camera with face unlock. The 800mAh battery, which charges over USB-C, will easily outlast your regular smartphone. In an AndroidPIT poll conducted five month's ago, 38 percent of readers said that the Palm would be useful, but that it was still too expensive. Would you use the Palm Phone as your daily driver now? If I’d get it as a present so why not. But I would not buy it myself.